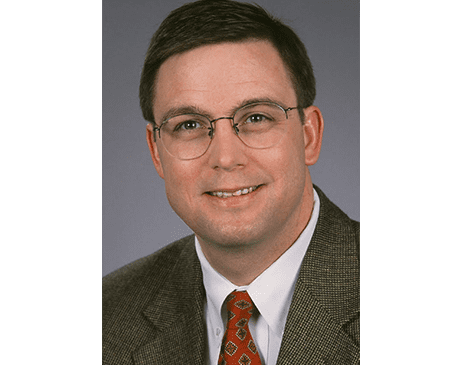 Mark E. Schadt, MD began his medical practice, General Surgical Care in Bethlehem, Pennsylvania, in 1990 with a dedicated focus on patient-first care. He has followed that mission since then, educating patients about their health condition and the role of surgery in treating disease, while providing surgical expertise using the most advanced techniques and minimally-invasive surgery. Dr. Schadt provides preventive care by performing colonoscopies. His areas of surgical interest include gallbladder disease, hernia repair, colon surgery, and surgical intervention for acid reflux, GERD, and conditions affecting the thyroid and parathyroid glands. He’s also interested in surgical solutions for diseases of the stomach, breast, and skin. After graduating with honors from Villanova, Dr. Schadt received his medical degree from Thomas Jefferson University in Philadelphia. He went on to complete his internship and residency training in general surgery at Lankenau Medical Center. During his training, he was proud to receive the Gilson C. Engel Outstanding Resident Award. Shortly after finishing his residency, Dr. Schadt made the short trip back to Bethlehem so that he could practice general surgery in the town where he was born and raised. Dr. Schadt is board certified by the American College of Surgeons. He also maintains active membership in the American Medical Association, the Northampton Medical Society, the Pennsylvania Medical Society, and the American Hernia Society. Dr. Schadt stays active in the education of medical professionals as an associate professor at Temple University and as a member of the teaching faculty for the St. Luke’s General Surgical Residency. He continues to pursue surgical research, most recently presenting “A Review of the Literature to Assess Optimal Management of Laparoscopic Cholecystectomy in Patients with Left Ventricular Assist Devices” to the Southeastern Surgical Congress.